Mmmm… guacamole. It’s made entirely from our favorite fruit (avocados, of course), and it’s a fun and easy snack for any of life’s occasions. Even more, avocados are delicious, versatile, and best of all healthy! They are full of plenty of good fats, as well as 20 vitamins and minerals like fiber, vitamin E, vitamin B6, potassium and folic acid – no name a few. And, an avocado has more potassium than a banana! So, you can feel good about eating all of the guacamole you can get your hands on. Here are some top secrets to a great guacamole. 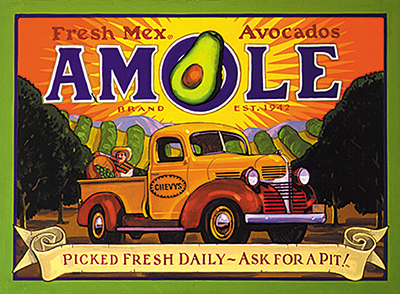 Choosing the perfect avocado is the most crucial aspect of making delicious guacamole. The avocado has to be just right; not too ripe and not yet spoiled. Avocados are ripe when they feel heavy for their size, yield to light pressure, and are dark in color. Which means, give them a gentle squeeze. If they are firm, they aren’t quite ripe yet and could take a few days to soften. If they are softer, they should be good to go! Once you’ve picked out fresh avocados, you’re halfway to making great guacamole. Also, if you are buying in advance, putting them in the refrigerator will slow the ripening process. Everyone has their own ‘perfect recipe’ and blend when making guac. Some even have a secret ingredient that they swear by. But, in all honesty, creating the perfect guacamole is all about simplicity, and it comes down to adding a few spices and ingredients. The real trick is, not to be afraid of those spices. Be generous with garlic and onions. Use fresh limes and cilantro. Avoid putting too much extra stuff in it because it really is about the avocado. No matter what you add though, don’t forget to salt. Fun Fact: Avocados can stay on the tree for as long as 18 months, and they will not ripen until removed from the branch. There is a school of thought that guacamole needs to be a puree. It does not. Don’t puree or crush the avocados in your guac. Instead, use a fork and gently mash and stir the ingredients together in a bowl. Try to keep the consistency chunky with larger pieces of avocado remaining. The thicker texture allows for a better chip-scooping experience and makes a big difference in the flavor. Trust us. At Chevys, our secret is the fresh ingredients. We make our guacamole directly at the table to show all the fresh ingredients. And, we enjoy smashing thousands of fresh avocados every day. We also make it just the way you like it. Stop in and join the fiesta today!